Add self-flagellation to the list of ways to get a dangerous viral blood infection. Researchers said Wednesday that they were initially puzzled how 10 British men had become infected with a little-known virus, because the men hadn't taken risks usually associated with the disease. 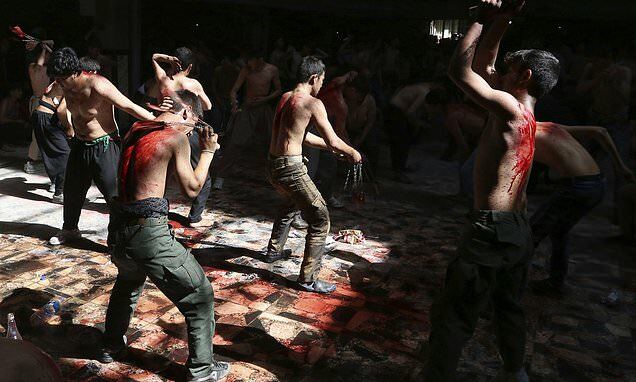 But then investigators learned they had participated in blood-shedding religious rituals - cutting or whipping themselves - in Iraq, Pakistan, India and the United Kingdom. 'There's been suggestions that you might spread infections through this route, but it's never been described before' in a published medical study, said Dr. Divya Dhasmana of St. Mary's Hospital in London. She is one of the authors of the study released Wednesday in a journal published by the US Centers for Disease Control and Prevention. The men were infected with human T-cell leukemia virus type 1. Most people infected with the virus never develop symptoms, but some develop terrible illnesses, like a deadly blood cancer or a debilitating nervous system condition.